This rosemary, garlic, and bean spread has lots going for it: It comes together in less than 10 minutes, has bold flavors, and works for all food constituencies (vegans, picky eaters, and those with food allergies). 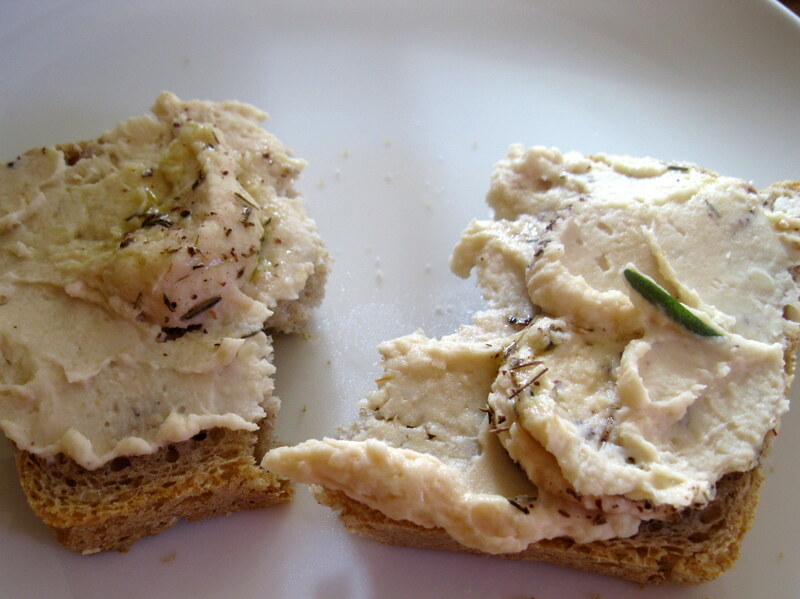 I serve the spread with crackers, grainy bread, chunks of fresh fennel, or celery sticks. You can do some substitutions—chickpeas, black beans, or other white beans will work well, and chopped shallot can stand in for the garlic. Put beans in the bowl of a food processor. In a small saucepan or sauté pan, heat the olive oil at medium heat. 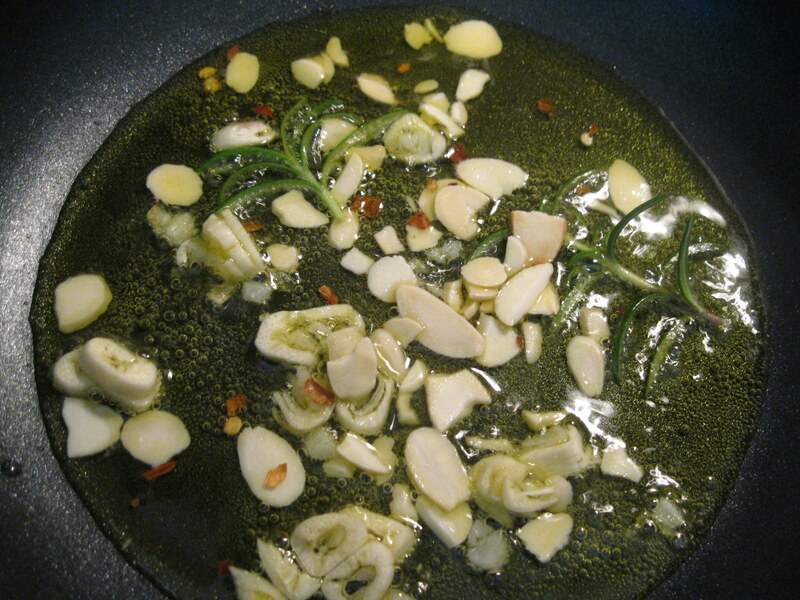 Stir in the garlic, rosemary, almonds, and crushed dried red pepper, and cook until garlic is slightly browned, watching it carefully so the garlic doesn’t burn. Remove the rosemary and pour the mixture into the food processor, using a spatula to transfer the oil. Add salt to the mixture and process until smooth. If you want a thinner spread, add water by the teaspoon and process until you get the consistency you like. Taste and add salt as needed. Transfer the spread to a bowl, using a spatula. 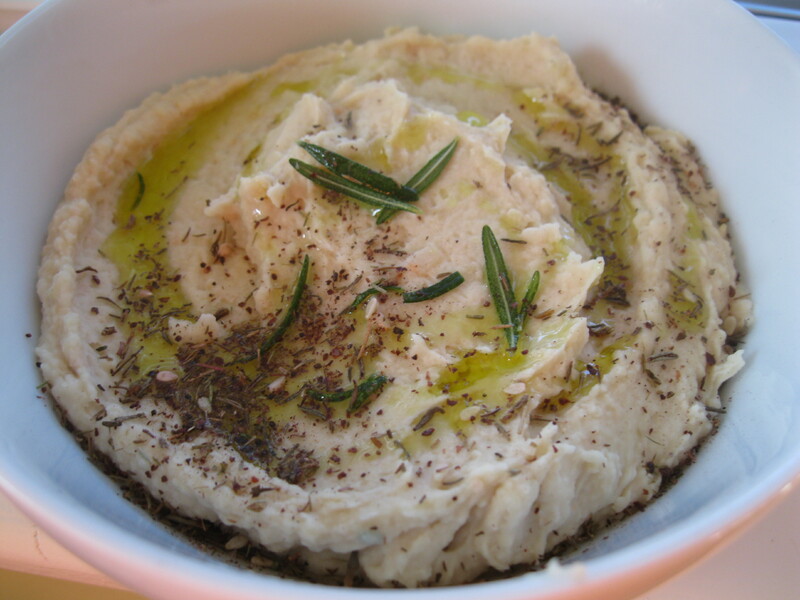 Pour a thin drizzle of olive oil on top and sprinkle zatar or other dried herbs for garnish. This entry was posted in Appetizers, Beans and legumes, Healthy, vegan, vegetarian and tagged cannellini bean recipe, garlic and rosemary dish, quick pantry appetizer, quick vegan appetizer by Amy. Bookmark the permalink.